Moms of girls (or Grandmas, Aunts, Friends.........) - I have something fun for you today!!! 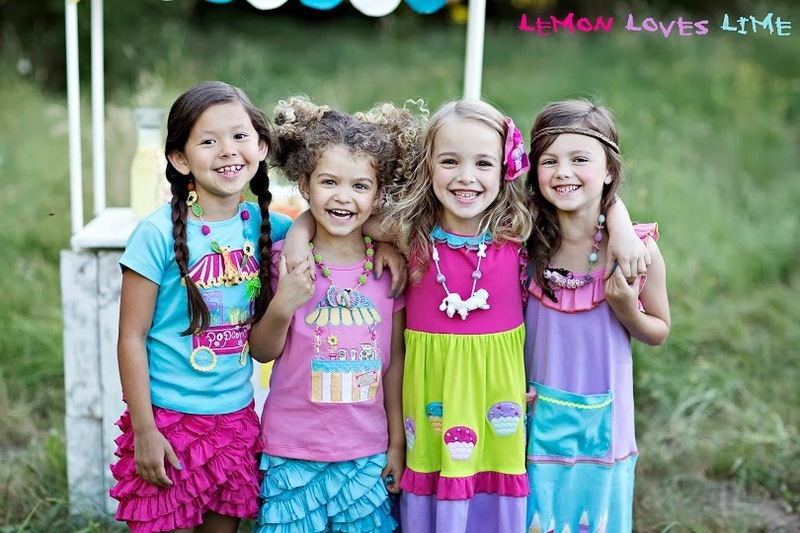 There is the CUTEST clothing line called Lemon Loves Lime. My girls are modeling a few summer outfits for them. Snow might be outside but we are ready for warm weather and BRIGHT COLORS!!!! They LOVED these outfits and wanted to wear them all day - on a cold day. 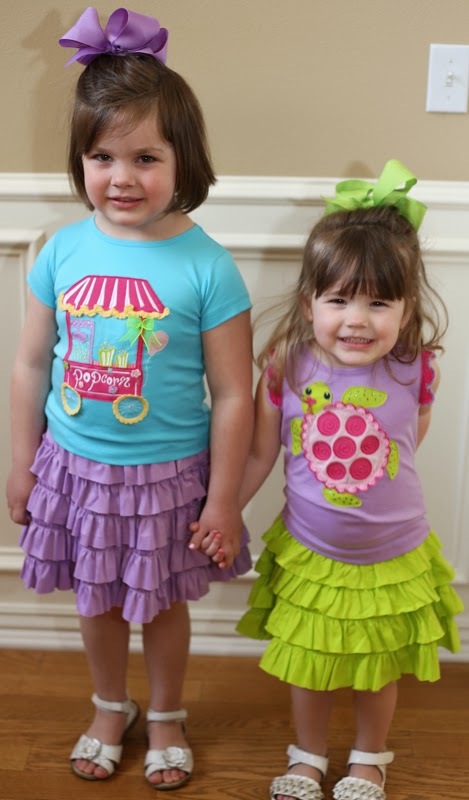 How adorable are these ruffle outfits? I wish they came in 40 year old mom size. 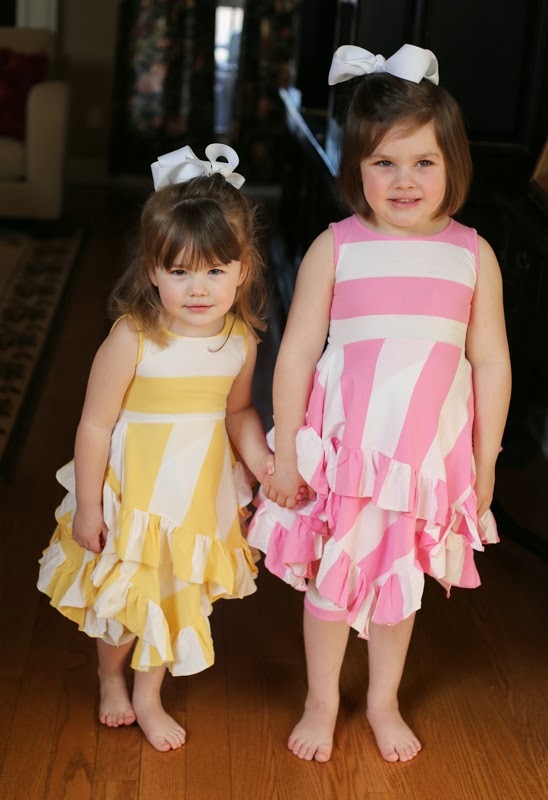 I don't even know what to say about these cute striped dresses? Harper thought they looked like "Barbie dresses". That's pretty much the ultimate compliment from a 5 year old. 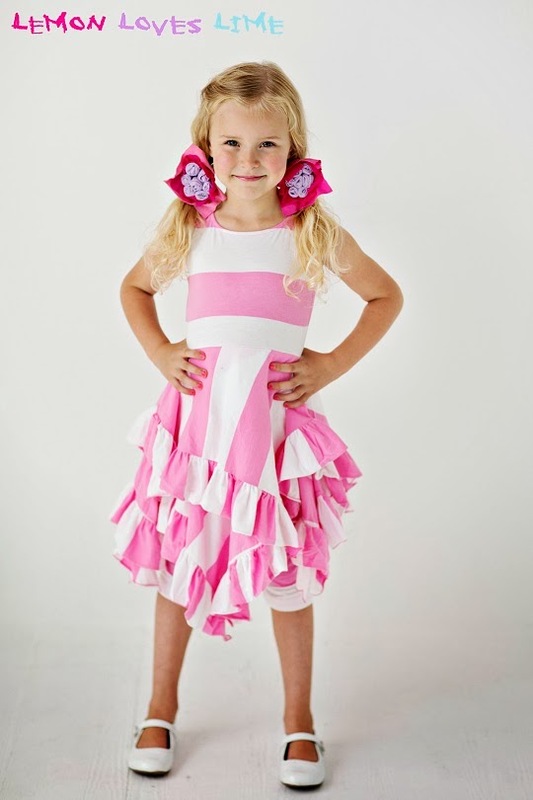 And you can win a pink dress for the little girl in your life from Lemon Loves Lime. They come in sizes 2-8. Just enter the rafflecopter below! I will pick the winner Saturday night.